Matt Pincus is a good friend of mine and he’s my right hand man at TrainingBeta. He manages and writes the blog, he manages our Facebook presence, and he’s our in-house Online Climbing Trainer. In this interview, Matt talks about fitting everything into your training program, or more specifically how to prioritize what to put into your program. 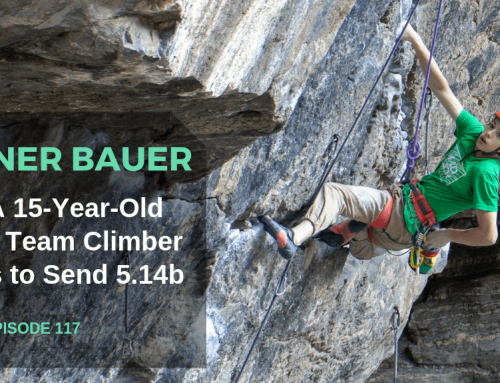 Matt is a boulderer and a sport climber based out of Jackson, Wyoming, and often lives in his van on the road. 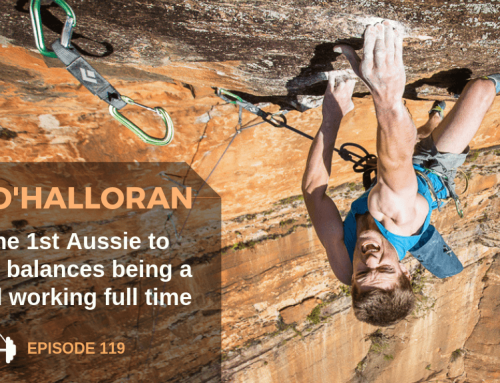 He’s climbed up to 5.14a and V12 and is constantly changing and tweaking the ways he trains as he learns new things. Because of his success with his own training and climbing, he began training others. Matt’s ability to listen to people’s needs, his attention to detail, and his keen interest in all things training contribute to his ability to create effective training plans for his clients. 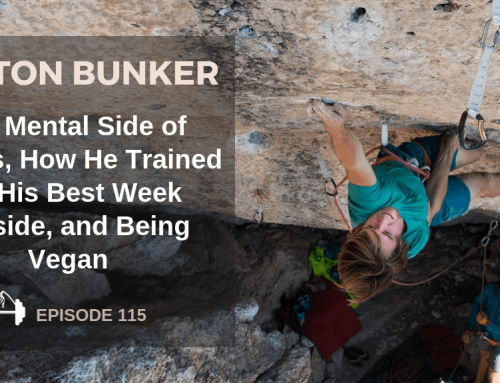 I wanted to talk with him about a popular article he wrote on TrainingBeta called “Fitting Everything Into Your Training” because I think it’s a common problem many of us face. There’s so much info out there on climbing drills, strength and power exercises, power endurance training, finger strength, etc. that it can be overwhelming to sit down and actually create an effective training program for yourself that doesn’t last 12 hours every day. In this interview, Matt talks about fitting everything into your training program and explains how to prioritize the key points of your training program. 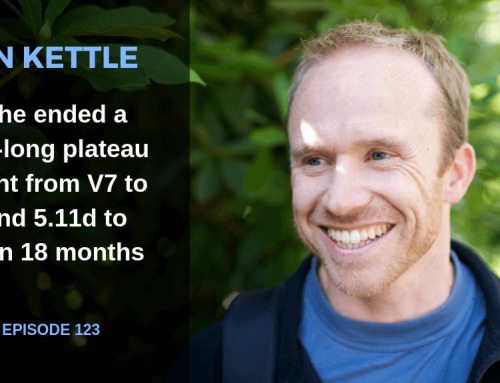 If you’re interested in training with Matt after listening to this interview, you can sign up to work with him (from anywhere in the world) at www.trainingbeta.com/matt. 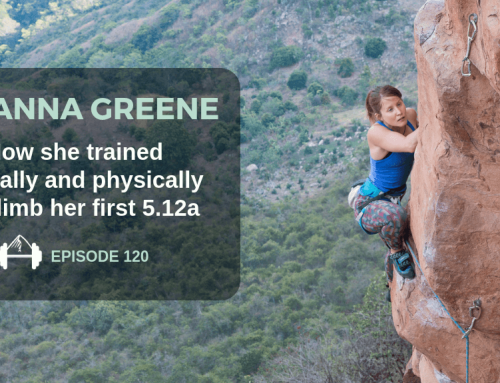 Neely Quinn: Welcome to the TrainingBeta podcast where I talk with climbers and trainers how we can get a little better at our favorite sport. I’m your host, Neely Quinn, and as you may know I recently got back into training myself and I am feeling strong, I’m feeling psyched, mostly I’m just feeling psyched that I get to try hard again and actually train again. In the process of putting together my training program I had to go through this whole very confusing process of: what do I do? And how do I fit all of this stuff in that I talk to all these people about on the podcast? It can be really overwhelming. I had to prioritize and I got help with that partly from Matt Pincus. Matt is our in-house trainer at TrainingBeta and he creates training programs for people all over the world. He has done so much research and studying up for himself and also for his clients on how to get stronger and how to train efficiently. He’s really, really all about training efficiently. 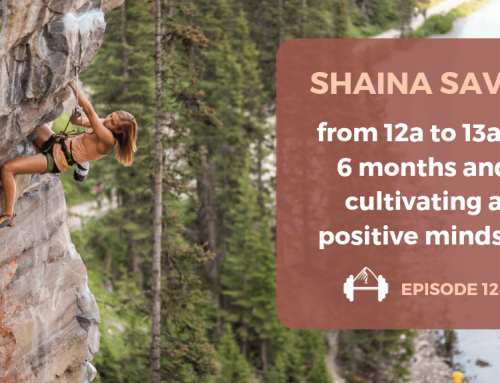 What we’re going to talk about today in this episode is exactly what to prioritize in your training program because the answer to, ‘How do you fit everything into your training program?’ is you can’t. He’s going to tell us how to prioritize and what to think about when we’re creating our training program. Before we get into that episode, though, I want to remind you that the TrainingBeta podcast is actually an offshoot of the website www.trainingbeta.com, which I run. Matt Pincus is my content manager over there and also, like I said, our in-house trainer. What we do is it’s all about training for climbing. There’s a blog that’s pretty regularly published a few times a week. We also have training programs that are super easy to use. That’s part of why I built TrainingBeta, because I just wanted a training program where somebody said to me, “Go into the gym and do this.” Those are the kinds of training programs that we offer on the site. We have personal training with Matt and I am also a nutritionist and I see clients for nutrition who are exclusively climbers, which is super fun for me because you guys are all so motivated to change. Anyway, you can find all of that on www.trainingbeta.com and I think I’ll stop talking now and let Matt do some talking. Here’s Matt and I’ll talk to you on the other side. Neely Quinn: Hey Matt. Welcome to the show again. Matt Pincus: Thanks for having me back. Neely Quinn: Yeah. So what have you been up to? Matt Pincus: I’m back home in Jackson, Wyoming after about 10 months on the road, travelling and climbing. We were together just a week and a half ago down in Lander for the Climbers’ Fest. Neely Quinn: Yeah. You had quite a competition in Lander, actually. Matt Pincus: Yeah, it was a big day and it was really fun. Neely Quinn: Do you want to tell people about that? Matt Pincus: Sure. So Sam Elias and I competed in the Limestone Rodeo. Essentially it was an eight-hour competition and scaled for difficulty but you could climb as many pitches as you possibly can. Then there’s a wall bonus if you do a pitch on every one of the 15 walls of the Wild Iris. To do that requires about six miles of hiking. We were able to take second. We just barely lost to BJ Tilden and Ethan Pringle and climbed 41 pitches in eight hours between the two of us. Neely Quinn: Right. The other day I was out and did three pitches and I was like, ‘My skin hurts.’ [laughs] I thought of you. That’s really impressive. You did a couple 13’s, a bunch of 12’s, and a bunch of 11’s. Matt Pincus: Yeah, I think Sam did two 5.13’s, seventeen 5.12’s, and two 5.11’s. I think I did two 5.13’s, ten or eleven 5.12’s, and like eight 5.11’s. Neely Quinn: First of all, congratulations on that. I’m really impressed and proud of you. Matt Pincus: Thanks. Like I said, it was super fun so we were pretty pscyhed. Neely Quinn: At some point it would be cool to talk about your own training but suffice it to say that you did train and you have been training for a long time to get your fitness and your work capacity and all of the things up to snuff to do this. 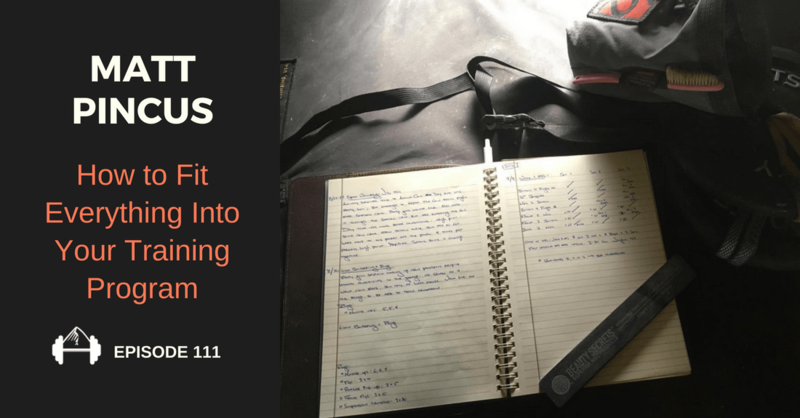 Today we’re going to talk about fitting everything into your training plan and actually not fitting everything in. Basically, how people can go about preparing for something themselves. Matt Pincus: Yeah, I think this is actually a good segue in that I feel like doing the competition was sort of a good by-product of the work that I’ve been doing over the past year but it was never really the goal in and of itself. It was just kind of a cool way to check in and the result just kind of showed me that some of the things that I’ve been doing have been working. It was never that the targeted goal was to train for the comp or anything. This conversation is kind of based off an article that I wrote for the website about people trying to fit everything in because it’s just a question that I get so often from athletes that I work with one-on-one and also that we get from people on TrainingBeta. Neely Quinn: Yeah. It was a good article and it was actually very timely for me because at that point, I was trying to figure out my own training plan. This has always been difficult for me so when you said you were going to write it I was really excited. It did really help because it can get really overwhelming for people to be like, ‘Well, I need to train fingers and I need to do some campusing, I need to do some weights, I need to do some aerobic stuff,’ and then you only have three days a week to actually train or climb at all. Why don’t you start with some of the basics? Like, how did this article come about and what’s the starting point here? Matt Pincus: So like I said, the article came about because it’s a question we get so often. I think anyone who works as a climbing trainer or coach can relate to that but the main point of the article is that you can’t fit everything into your training program and you shouldn’t even try. We’re just as guilty as anyone else of this but with climbing training becoming more and more popular and there being so much information available, like you said, it can seem like you have to hangboard, you have to lift weights, you have to train your endurance, don’t forget about doing hard moves so you should probably do some limit bouldering, also. Then you don’t want to get hurt so you’ve got to do your injury prevention and antagonist training and, and, and – the list just sort of goes on and on. I think that creates a lot of anxiety for people. They feel like they sort of can’t fit everything in because they don’t have enough time and even if they have a really wide open schedule, it’s just sort of a daunting task to try and do all of that. The point of the article is that, again, you can’t fit it all in at once and you shouldn’t really try. In the article I talk about the two main reasons why you shouldn’t even try to fit everything in. The first one is recovery ability. When we talk about training, training is what breaks you down and puts stress on your body. It’s really in recovering from your training sessions and your workouts that you actually get stronger. If you’re doing too much and you’re not able to recover, you’re just sort of continually degrading over time because you’re not able to bounce back in between sessions. That’s a failure of the training program and you’re not going to see results from that. The second reason you shouldn’t try to fit everything in is adapation potential. That basically refers to our body’s ability to improve facets of fitness or anything we’re trying to work on. That’s a finite resource. If you’re just cramming everything possible that you can fit into the time that you can devote to climbing, you’re really going to hamper your efforts across the board. You can think of taking a gallon of water, if that’s your adaptation potential, and pouring it into 12 different glasses. You’re not going to get very much in each glass. But if you sort of pare that down to three glasses that are really important, then you’re going to adapt more to those specific things and see gains. Neely Quinn: Yeah. Okay, so do you want to talk more about these two things? Recovery and adaptation potential? Matt Pincus: I think they’re big topics but what we really need – and there’s a lot of more scientific stuff that I don’t know that I’m even the most well-equipped to speak to, or the most important thing if we’re talking about this idea of fitting everything in in terms of designing a training program for yourself – is to just know that you need to be able to recover. You shouldn’t just be degrading over time. That’s the recovery one. The other thing is that less is often more with training. That’s not less in terms of not putting in hard work, not trying really hard, but that the more we can focus our training on things that are actually going to help us improve, the more effective the training program is going to be. Neely Quinn: I want to say one thing about recovery. It seems like it takes a lot of experimentation to really figure out how much recovery time you need. I’ve been training myself over the past month now and this has been the first time I’ve really trained in years because of my shoulders. Yesterday I went to the gym and I was like, ‘I feel good.’ I had climbed Thursday, Saturday, Sunday, and it was Tuesday. I was like, ‘I feel like I’m recovered.’ I went in and I sucked a lot. [laughs] I was trying to boulder and I just couldn’t even do moves and my fingers wouldn’t close. I think that I needed another day. I might even have needed three days but can you give any tips on how to figure that out? Matt Pincus: Yeah, I think it definitely takes some trial and error. There’s ways using a grip strength dynamometer that you can test readiness and readiness to train. Basically you would establish a baseline of what you can squeeze on a grip strength dynamometer and when you were ready to go train you would squeeze. If you saw a dramatic decrease on that day that would sort of be a sign that you were under-recovered. Even if you don’t have access to one of those we can all sort of relate to the idea of what it feels like to be fresh and what it feels like to just be grinding out a session. Just developing that awareness of what I feel like, I think for people, [unclear] and being sort of okay knowing that the plan might say, “You climbed Saturday, Sunday, now it’s Tuesday. You’re supposed to train,” but if you aren’t ready for it or recovered for it, it’s not a failure on your part. That’s a failure in the program. Neely Quinn: Right. So being adaptable to not having a set schedule and being patient, it seems like. Matt Pincus: Yeah, exactly. It’s natural, I think, for people when you have something written down on paper like a training plan, right? You really want to be – it really makes you feel like you’re slacking if you don’t do everything on that plan. But if you’re consistently not able to show up for those sessions recovered then, like I said, that’s not a failure on your part. That’s just a failure in the plan of including too much and not including enough rest time to let you recover. Neely Quinn: Okay. We don’t need to harp on that anymore because I know we have some things to talk about. We’re talking about fitting everything into a training program and there are some basic principles that you talked about. Why don’t you tell me about those? Matt Pincus: Yeah, so what we’ve talked about so far is the reasons why you can’t try to cram everything in but when it comes to what you should actually be doing, I think the most important thing and if anyone could take a single thing away from this article or this podcast, it’s that you really need to start with a goal. We’re training for climbing. That means we’re after climbing improvement and that means you should have specific climbing-related goals, and the more specific, the better. If it’s a specific route, that’s better than just trying to get better at sport climbing but even if it’s more general, the goal is going to inform what you do in your training. Obviously, if your goal is to boulder V10 you’re going to train differently than if your goal was to free climb El Cap or something. Starting with that goal is what’s going to give you direction to design the training program. Neely Quinn: Right, and I think that is really important because the more and more I talk to, say, my nutrition clients, the more I’m noticing that all they want is to get stronger. They say, “I want to be better at climbing,” but most of them don’t have any specific goals so it makes it hard to a) motivate to train at all and b) know what to train. I think that’s super important. Matt Pincus: Yeah, and like I said, I think the more specific the better. Obviously, when a goal is more specific you can look at an individual route or an individual boulder problem and know or at least have more information about what you’re actually going to need to be able to do that climb. Neely Quinn: Right, for instance, what? Matt Pincus: That’s kind of the second point. Once you have a goal we’re going to work backwards from that in designing the plan. That would bring us to step two. To me, this is how I design all my training programs, and that is figure out what’s holding you back from achieving that goal. You have a goal. You want to send x-climb and you need to look at what is preventing you from doing that and then address that in your training. It seems so common sense that it’s almost silly but obviously, if you have a goal and you want to achieve it, you figure out what’s preventing you from achieving that goal and that’s what you should target in your training. Neely Quinn: Can you give me an example of that with one of your clients or yourself or somebody? Matt Pincus: I’ll do myself. I’ve written a bunch of articles and talked a lot about how I was a stronger boulderer and didn’t climb on a rope at all for the first six years of my climbing. When I decided I wanted to improve in sport climbing I looked at that and I said, “Okay, clearly it’s not strength or power holding me back from being able to climb 5.12,” when I had bouldered V11. I said, “Okay, I know I need to address the skill side of climbing on a rope and being comfortable climbing above a bolt and not being scared of falling and learning the tactics of working routes, which are different than the tactics of just trying a boulder.” That was sort of the skill side. Then, on the physiological side I knew I didn’t have any endurance so I needed to target that in my training. Neely Quinn: What if it’s like you’re – that’s kind of an obvious one, going from one element in our sport to the other, but it’s harder when you’re like, ‘I’m climbing 5.12a but I want to climb this 5.12c.’ You know? Matt Pincus: Yep. That’s where having specific goals makes it even easier to target those things. You can actually go get on that route or whatever it is that is the goal and if you’re brutally honest with yourself and really examine why you’re failing on that route, then that’s one way that you can sort of target or figure out those weaknesses. Then go back to your training program and target them so that you can try to turn them into strengths. Neely Quinn: Okay. I think that even though it’s really clear to you, like how to target strengths, I think that this is something that is very abstract and difficult for people, including myself. I think what would be maybe helpful would be to use me as an example. Neely Quinn: And just for a minute here, talk about what I need to do. I’m not trying to monopolize this conversation but I do think that is really hard for people, so would you be willing to do that? Matt Pincus: Absolutely. What’s the goal? Neely Quinn: What’s the goal? Matt Pincus: Yeah, for you. Neely Quinn: Well okay, my goal right now is in a month I want to be able to do crimpy, pretty vert, 13a in a day or two of tries as opposed to I just did a 13a in five days of trying. Matt Pincus: Right. What happened during your first couple days of trying the 13a you just did? Neely Quinn: I couldn’t do several of the moves. 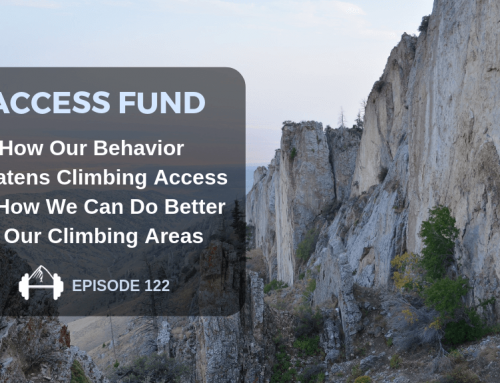 Matt Pincus: So you found a crux section that you struggled on and then what happened on the rest of the climb? Neely Quinn: The rest of the climb – I found two crux sections that I really struggled with and I actually couldn’t do several of the moves but the rest of the climb was fine. Matt Pincus: Okay, so I think when we look at that, what happend for you is then you figured out how to do those moves and then you sent pretty quickly, right? Neely Quinn: Yeah. It took me three or four goes up the thing to figure out the moves, maybe more. Matt Pincus: When I look at that I see basically that it wasn’t a whole route that was shutting you down because as soon as you knew how to do or figured out how to do the moves you were able to link it all together and send pretty quickly. You weren’t involved in this long redpoint campaign. I would look not at endurance but at issues with strength and power. Sure, climbing tech, crimpy 5.13 sport routes would suggest you need to address endurance and crimp endurance in your training but it seems that that’s more of a strength for you and more of a weakness would just be being able to do harder and harder moves. Matt Pincus: In your training – and I know that for a long time you wouldn’t go bouldering at all, even in the gym – I would suggest things like limit bouldering sessions to really practice doing hard moves and then also improve your strength and power so that those crux sections on routes, at that goal level, feel like they’re taking less of your max ability. Neely Quinn: Right. That makes sense. Matt Pincus: Again, it seems sort of counterintuitive to train for long, crimpy sport routes by going bouldering in the gym and having limit bouldering sessions but that’s individual to you. Again, we’re working backwards from your goal through your strengths and weaknesses and what’s preventing you or making it more difficult for you to reach those goals. Like you said, you want to be climbing 13a within a day or two of effort rather than in five days of effort so what seemed to prevent you from doing the route that you did faster was that it took you days to unlock these crux sequences. If we can make you stronger and more powerful, what’s a crux? It’s a boulder problem. If we can get you stronger on boulder problems, those crux sequences will take less time to unlock and conceivably you can be sending faster. Neely Quinn: Right, and lastly it will open up more options for me to do the crux sequences differently. Neely Quinn: Okay, so we’re working backwards from the goal to finding what’s holding us back and now what? Matt Pincus: I mean, those are the two main things I use and I think that’s the main takeaway from this article. That’s the process you should go through whether you’re designing a training program for yourself or whether you’re going through it with a coach or trainer. If you are working with them to help design a program or even if you’re taking a pre-written program from a book, that’s the process you need to go through with yourself to customize it to your own specific goals and strengths and weaknesses. However, I think then with everything there is a danger in taking it too far. If we carried your example on and for the next year or two years all you did was go bouldering and have limit bouldering sessions, that would be taking things too far. 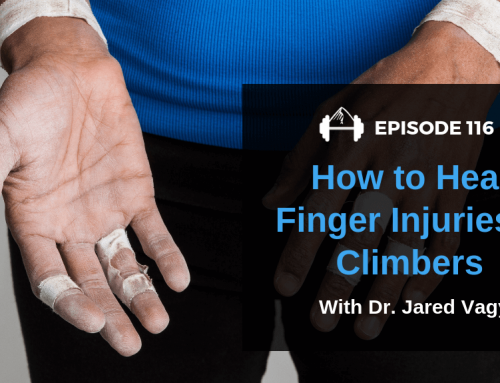 In the long run it might help improve your sport climbing but it might prevent you from reaching those short term goals. Neely Quinn: Right, because then you’re not working on any work capacity. Matt Pincus: Right, any work capacity or endurance or power endurance. If you’re just truly going limit bouldering, working short, 3-5 move sequences, eventually you might get strong and powerful and that would be great, but if that’s all you do and you don’t go sport climbing ever, eventually your endurance is going to go away. You’re going to forget how to climb relaxed and efficiently because you’re just going to be trying to tear the holds off the wall, and you can take things too far. That’s sort of where I went with the second half of the ‘Fitting Everything In’ article. Neely Quinn: Okay, go on. 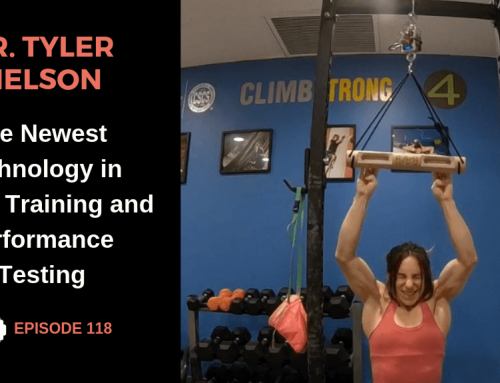 Matt Pincus: So I think that now you’ve worked backwards from a goal and figured out what you need to target in your training, that’s still on a pretty macro level. It’s not really informing the specifics of your program in any way. Obviously things get murkier when you go down to the specifics because it needs to be individualized since everyone’s strengths and weaknesses are different, but I think you can use some basic principles to keep you on track and stop you from sort of carrying things too far to the extreme like in the situation we just described. Neely Quinn: Doing too much of one thing. Matt Pincus: Yeah, exactly. The basic principles that I talked about in the article is that climbing is a skill sport and that has to be reflected in your training program. That would be the first one. The second one would be that strength is the fundamental physical attribute for climbing. The last would be that it’s really important to keep the goal the goal. If you keep those three principles in mind and use them to sort of continually evaluate what you’re doing in your training, I think it’s going to be pretty hard to fully miss the boat. We could just go through those and flesh out what they mean, right? It’s easy to keep ‘skill first’ but what does that actually mean? The idea that skill comes first is that climbing is not a strength sport like Olympic weight lifting or something. It’s not an endurance sport like marathon running. It’s a skill sport. What that really means is that yeah, we can get stronger and we can get more powerful, we can get better endurance through training, but if we’re not actually learning and practicing how to climb better, like improving our skill as a climber, then a lot of that is just going to go to waste. Not only is that going to go to waste but by improving your climbing skill you can often get out of your own way and be able to leverage the strength and power you already have to better performance. Neely Quinn: Okay, so how would one do that? What are the things that you – should they pick just a small number of things to focus on? Matt Pincus: Well no, I think it’s the idea that if we go back to that list that we started from, that you have to be hangboarding, you have to be campusing, you have to be lifting, you have to be doing antagonist work, gymastics rings are great for training, all that stuff – if you make the division in your training between areas where you have your climbing shoes on and you’re actually doing climbing movement and practicing climbing movement, and then all that other stuff you sort of keep as supplemental, that’s a really good place to start. Neely Quinn: So like Steve Bechtel’s 80/20 rule. Matt Pincus: Yeah, whether it’s 80/20 or 75/25. The idea that if you are spending more of your time just training the physical side of climbing without climbing shoes on and not doing climbing movement than you are actually climbing, you’ve taken things too far. You need to come back into that keeping skill in climbing movement as the priority. Neely Quinn: Okay. Do you think that if there is a specific goal route or boulder or something that people should be doing a couple specific skill drills to help with this? Matt Pincus: Yeah. Again, that sort of depends on the individual case but if your route that you’re trying has a heel hook or something that you really struggle with and when all is said and done, you do your training and you show up and it’s time to try to redpoint your route and that’s what’s going to prevent you from doing it, you should have been practicing it as you went. It’s not enough to just go through the motions of, ‘I have my climbing shoes on. I’m climbing.’ We’re really talking about deliberate practice and trying to improve specific technical elements of your climbing. Neely Quinn: Okay. Any other examples of skills that people could be practicing? Neely Quinn: Right. So skill practice is important. We can’t just not be climbing. Matt Pincus: Yeah, exactly. If you’re keeping skill development and skill practice as sort of the bulk of your training program, following that principle is going to help keep you on track. Neely Quinn: Okay, and then we have strength. Matt Pincus: Yep. The second principle here is while climbing is a skill sport, the physical attribute that it relies the most on is strength. I think this has been talked about quite a bit in the climbing training world but it can sort of be summed up nicely by the idea that if you get your fingers stronger and you get stronger, single moves are going to take a lower percentage of your maximum strength so that’s going to improve your endurance in the process. That’s sort of how it always gets simplified. You can kind of even zoom out a little bit more than that. We know that power is basically strength applied with speed. Obviously, if you don’t have the strength to begin with, then no amount of power training is going to increase your – you’re going to reach a point where you can’t improve your power any more because you don’t have anymore strength to apply with speed. Same thing with strength endurance. You’re not going to be able to improve your ability to sustain high output over an extended boulder problem if those single moves are requiring 100% of your max. In designing your training programs and working backwards from your goal, even in the situation that we talked about with me where I was a boulderer who had plenty of strength and power relative to my route climbing at the time, it didn’t mean that I just stopped all strength training and all limit bouldering just to go do endurance energy system work. I knew I needed to maintain and, ideally over time, improve my strength levels to keep progressing. Neely Quinn: And you kind of subscribe to the whole logical progression way of training where you’re kind of focusing on one aspect but keeping all the other aspects at a simmer, right? Matt Pincus: Yeah, exactly. I think the nonlinear idea makes quite a bit more sense to me because – and I think this is how Steve would answer this question, too – it’s the idea that when you go up a climb and you grab a small crimp and you’re in the crux, you need to be strong in that moment. When you make it through the crux or maybe you have to move dynamically off of it and that’s going to require some power, but as soon as you get through the crux and you have a sustained section for a while, that’s going to require some power or strength endurance. Then, putting it all together is going to require more baseline endurance. That all happens at once. I think that’s sort of why we’re seeing that nonlinear approaches like logical progression work better than a classic linear periodization where you do a strength block then a power block then a power endurance block and your strength levels sort of drop off as you move farther and farther away from that strength block towards the performance phase. Neely Quinn: Right. So is there anything you want to talk about more for people figuring out how to fit all of the strength training in that they need to do? Matt Pincus: Yeah, I think that kind of brings us to the third principle and that’s that you need to keep the goal the goal. This sort of is like zooming back out to that macro level but how much strength training you need to do is not really a question that we can answer for everyone at once because it’s really individual and depends on the climber. Working backwards from your goal means you need to plan ahead and you need to know: when is your goal route or goal boulder going to be in season? When are conditions going to be good? When do I want to be feeling really good? If you zoom back months and months, the training you’re going to do today isn’t really for this weekend so you really want to plan it ahead. That’s part of keeping the goal the goal. I think the other part of that is it’s really easy when you do strength training, whether it’s on the hangboard or lifting or whatever, and you have these measurable things like the amount of weight you can hang on a small edge or the amount of weight you can deadlift. It’s really easy to let improving those numbers kind of take over and become a new goal in and of themselves. Obviously, yeah – if you were hanging on a 20 millimeter edge and you’ve suddenly been able to hang 30 more pounds or something, that’s awesome. If you’ve made huge gains in your deadlift, again, that’s great, but we’re not, or at least I’m not, training to be better at hangboarding. I’m training to be better at climbing and if you’ve been following along with what we’ve been saying, you started this whole process with a specific goal of what you actually wanted to climb. You need to keep that the goal. That means you’ve done your deadlifiting, you’ve done your hangboarding, and if the conditions are perfect on a weekend now that we’ve gone through our months of training, don’t waste it going in for a strength session in the gym. Go outside and try your project. That’s really what I mean by keeping the goal the goal. Having that longer term view and the intermediary goals of improving strength and improving your deadlift are great, but they’re still a step below that bigger goal and that bigger goal always needs to take precedence. Neely Quinn: Right, so the way to follow this advice is if you have an opportunity to climb on something, whether it’s your goal or something similar, we should take it and forego a strength training session? Matt Pincus: Yeah. Again, it depends on how you planned out your training. Let’s say your route is going to be good in November and it’s August right now. In August it’s hot out, conditions probably aren’t great near you being that it’s the middle of the summer so maybe right now your strength sessions would be more important. As you get closer and closer to the fall and to November and as conditions get good, maybe it makes sense to be less focused on improving strength and you need to be outside, be climbing on routes that are maybe slightly easier than your goal route but at a similar style to help you build up to it. Then certainly once November rolls around, now you’ve done the training so you should be feeling good and be ready to try hard. That’s your performance phase. At that point you’re not training anymore. You need to put the emphasis on feeling good, having quality goes on your goal route, and being recovered/well rested, taking care of your skin. Like we said, even if you’re working a normal job and can only get outside on the weekends, if during November you had trained super hard on a Tuesday and a Thursday and you were wrecked on Saturday when conditions were perfect on your project, you’re not keeping the goal the goal there. Neely Quinn: Yeah, which is a really good point and why it’s important to look ahead at www.weather.com [laughs] to figure out your training schedule and so you can be more adaptable, like we were talking about with when you’re training. I’m subject to this, too, where I’m like, ‘My training days are Tuesday and Thursday and then I’m going to go outside on the weekend,’ and that’s because it works for my schedule, it works for my climbing partner’s schedule, etc. Sometimes, like this week I decided I’m wrecked and I’m just going to take my session yesterday, I’m going to do a finger training session today on a Wednesday, and then I’m going to rest until Saturday, which is something new for me. I’ve been listening to people like you talk some sense into me but that can be hard to do. Matt Pincus: Yeah, I think it’s hard to do because – we sort of mentioned this earlier – when we write things down on paper, climbers tend to be fairly disciplined people. I see a lot of my clients when we write the plan out, they really want to stick to the plan and do everything. That’s great but if you can’t recover from the sessions or weather is perfect on your project, then that’s the goal, right? It makes more sense to prioritize achieving the goal than it does getting in another hangboard session or doing a hangboard session when you’re completely wrecked. Neely Quinn: I’d like to go back to strength a little bit and I’d like to use myself again as an example, just because I can be super ADHD when I go into the gym and I think a lot of people can. I know that there are certain things I need to be working on for my strength. I need to be working on my crimp strength, I need to be working on dynamic movement, shoulder stability, core tension. I was in the gym last night, in the weight room, and I didn’t have a plan. I ended up doing 10 different exercises and at the end of it I was like, ‘I don’t know if I gained anything from that session.’ Maybe I did, maybe I didn’t, but I felt like I needed to have a plan. Part of me was like, ‘I need to do the same things some of the time and then add in new stimuli sometimes to change it up a bit.’ I was a little bit confused but do you think it’s that you pick 3-5 things and you just stick with them for an entire training cycle? Matt Pincus: Yeah, sort of roughly. I think when you look at designing strength training plans, the way I look at it is we know that finger strength is really important so there should be a finger strength component to it. Then you can sort of move from that and say that you really want to make sure that you cover the major movement patterns. That’s a pull, a press, a hinge, a squat, and then we can add in core strength into there as well. When I pick exercises for myself or my clients I try to make sure that we’re covering all of those and that’s going to help you stay well-rounded, develop total body strength, and just become a stronger, more durable athlete. Neely Quinn: It seems like you kind of pick 1-3 different kind of strength sessions for people so that they’re not always doing the same things in a session. Matt Pincus: Yeah, because it gets boring. When you do the same exercises every single time and you just do that indefinitely, that’s going to put strain on the same body parts and it becomes harder and harder to recover from that. Eventually your body is just going to get used to the stimulus and you’re not going to keep improving and potentially will just degrade into getting hurt. Matt Pincus: But, I will say that’s not really a danger for most people in that I think most people are closer in their training to what you described your session last night as being, where they don’t really have a plan when they go into the gym and they certainly don’t stick with exercises long enough for that to really become an issue. When we talk about strength training, we see adaptation for 12-16 sessions. That’s where it’s really optimal so really look at your training and think about the last time you were consistent with doing an exercise or a hangboard protocol for 16 sessions before you switched it up and tried something different. I think most people aren’t really in that category. Matt Pincus: It’s important to mix things up and introduce variation but I think it’s more important to stick with stuff long enough that you really see that adaptation and those gains. Neely Quinn: Yeah. Okay, is there anything that we’re missing from the article or your thoughts about trying to fit the important things into a training program? Matt Pincus: No, I think what we’ve covered so far is how I work with my athletes and how I design my own training program. I guess we could sum it up a little more succinctly real quick. If you start with a goal and work backwards in designing a training program to make sure you’re addressing the things that are preventing you from achieving that goal, that’s the basic process you should use to design a training program for yourself or to choose a training program or to customize a training program to make your training more effective. Then in doing that, keep the principles of climbing being a skill sport and including or making sure 75% of your total training time is climbing shoes on, doing deliberate practice of climbing skill. Then, if you address strength as the fundamental physical attribute and as you progress through your program, you make sure to keep that initial goal the goal, it’s going to be really hard for you to totally miss the boat. Matt Pincus: I think that’s all easier said than done but if you can follow that, it’s kind of a tried and true recipe for success I think. Neely Quinn: And some people are better than others at figuring this stuff out on their own. Some people need help, whether it’s from a friend or a climbing trainer like yourself. It kind of depends on your personality type I think. I’m realizing I need somebody in the gym with me being like, ‘Neely, do this. Now do this.’ [laughs] I’m just all over the place. Any thoughts on that or any advice about that? Matt Pincus: Yeah, I think working with a trainer or a coach is obviously sort of the best way, as long as they’re a good trainer or coach, to make sure that you’re doing this and that you’re sticking to it and not just randomly working out. That’s not a possibility for everybody and I think trying to follow this process is, like you said, easier or harder for different people. But, if you really write your program down, even if you’re doing it by yourself – take your goal, move backwards to where you are now and design a program – make a goal knowing when you want to try to achieve it, like when it’s going to be in condition, and work backwards to now. That should be several months at least. Design a program for yourself and write it down. That will help you sort of stay accountable to it. Neely Quinn: Right. And if people want to train with you how do they find you? Matt Pincus: They can find me at www.trainingbeta.com/matt. Neely Quinn: Cool. Thank you for your wisdom. Good job on the comp and I’m sure we’ll have you on the show again soon. Matt Pincus: Sounds good. Thanks for having me back on. 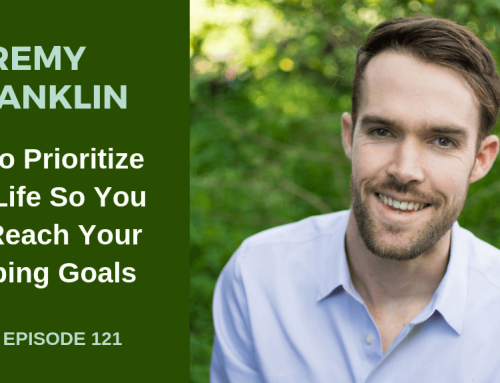 Neely Quinn: Alright, I hope that interview with Matt Pincus helped you figure out where to begin when you’re trying to create a training program for yourself and what to prioritize. If you want to follow Matt on Instagram, you can find him @mpincus87. He puts some really great photos up of himself and other climbers from all over the world on his travels there. Then, if you have any questions for him you can always email him at matt@trainingbeta.com. If you ever have any questions for me you can also email me at neely@trainingbeta.com. Thanks to Matt for that. Again, he does see clients. If you want to learn more about how he works with people and what he offers, he does do monthly sessions with people where you get access to him on a pretty regular basis through an app that he uses for personal training and he will develop a detailed training program for you. You can find more about that at www.trainingbeta.com/matt. Coming up on the podcast – well actually, in a few days I’m leaving for Tensleep, Wyoming. I’ll be there for two weeks and I don’t think my service or privacy is going to be ample for me to create any new podcast episodes so I’m going to take a couple weeks off. Then, when I come back I’ll publish the episode that I did with Mina Leslie-Wujastyk, a British crusher. That’s a really good one and then I also interviewed Dru Mack and he is a Kentucky born climber who is really, really great at power endurance climbing. He detalied his training program, which was really interesting. Stay tuned for all of that and again, remember that if you need any help with your training we have so many resources for you over at www.trainingbeta.com including training programs that are easy to use and step-by-step laid out for you. You can find those at www.trainingbeta.com/programs and you can always find us on Instagram @trainingbeta, on Facebook at TrainingBeta, and I really appreciate you listening all the way to the end. Thanks and I’ll talk to you soon.